To have not read the Brontës whilst growing up in a locus relatively equidistant to Leeds and Bradford, was like never visiting those aunts who continued to buy you presents whilst you continued to avoid visiting them. I’ve read the heavyweights: Jane Eyre and Wuthering Heights, should they even need mentioning, but now I have the opportunity to read some of the lesser-known works, sometimes lost behind the canonisation of those two colossal pieces of fiction. I start with Agnes Grey. Anne wrote the sedate-seeming ‘Governess novel’ in the same period as Emily’s Wuthering Heights and Charlotte’s The Professor.When Charlotte was initially rejected she then sent the publishers Jane Eyre, which, by the time they had made a decision on Emily and Anne’s work in 1847, had already been published. It inspired them though to print the other sister’s novels and perhaps Anne’s has been condemned to sit behind the reputation of those comparatively complex and visual works. Agnes Grey is an extraordinarily good novel though. The Irish novelist and critic, George Moore, once declared Anne’s work a masterpiece, and whilst that might be an overestimation, there is a cause for its elevating. Ultimately, it’s a novel about the sense of place in our own families and how we carry this sense, or absence of, when we leave them. 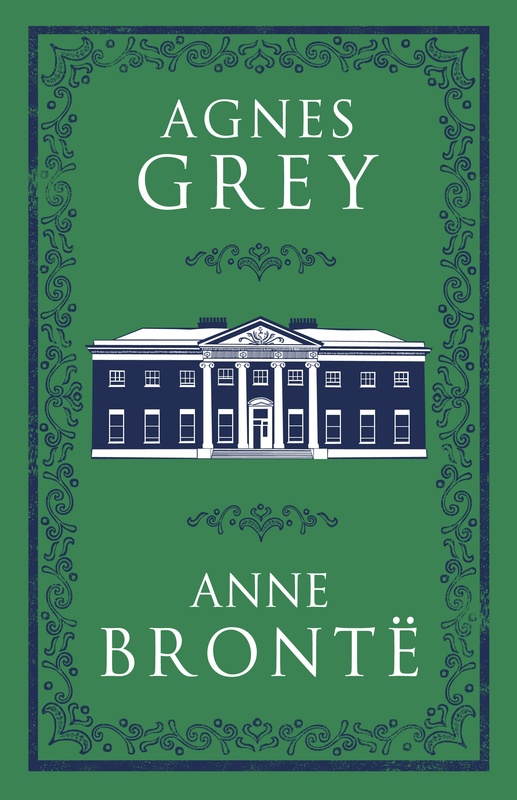 If, as some have said, that Agnes Grey is too much a novel of convention for it to be raised to the stratospheric level of Wuthering Heights and Jane Eyre, I would reply that it’s because it is such an acute portrayal of this need to conform to convention that it deserves to be raised. Is the family not the place where we learn our ‘conventions’? One could see Freud using Agnes Grey as a model for his essay ‘Family Romances’ because we forever seem to be trying to understand if Agnes will understand her place in the family to understand her potential place in the world without it. The debate becomes whether this reveals the naivety her family believes she possesses, or a sound logic to test her hypothesis against; an experiment into whether the past has really given her the correct tools for the future. Because, wrapping around itself, her reasoning makes us wonder what were the parameters of her own childhood to suggest that it is her own thoughts and feelings that are the ‘surer guide’ over the words of the ‘mature adviser.’ How did they become such an important distinction? The image suggests that the battle between the mature adviser and the surer guide has manifested psychosomatically. What use is her reason going to be? Surely their ‘resolution’ is something that she should be able to understand if she’s dependent on her own childhood experiences? It is this battle that resumes on every page and although Agnes Grey isn’t a novel concerned with romantic love, when it does appear in the form of Mr Weston, it arrives as another test of her developing framework. It might seem that this is a novel about breaking free, a conventional narrative about breaking free of convention, but here we see how it morphs into exploring the sadness of not finding place in a setting that we would expect to find our rightful and comfortable position: the home. Certainly, Anne demands her rightful place alongside her sister’s effervescent regard.